Formal Uniform is a white shirt, purple tie, black jumper (optional) and beige or black jodhpurs/breeches. 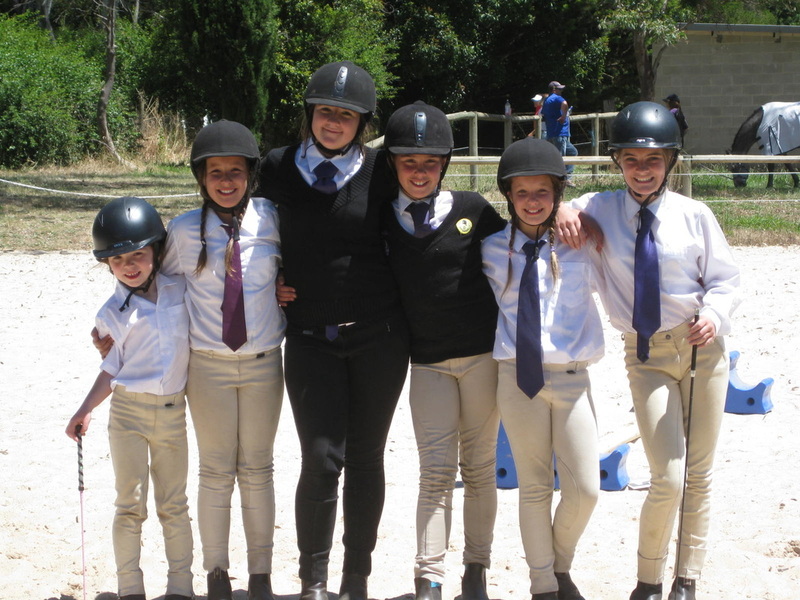 Casual Uniform is a Paracombe Pony and Equestrian Club polo shirt or Rugby top and beige or black jodhpurs/breeches. Paracombe Pony and Equestrian Club caps are optional. Black saddle pads may be purchased and embroidered with the club logo. Rags for Nags (http://www.ragsfornags.com/) are able to make black saddle blankets with purple binding to order. 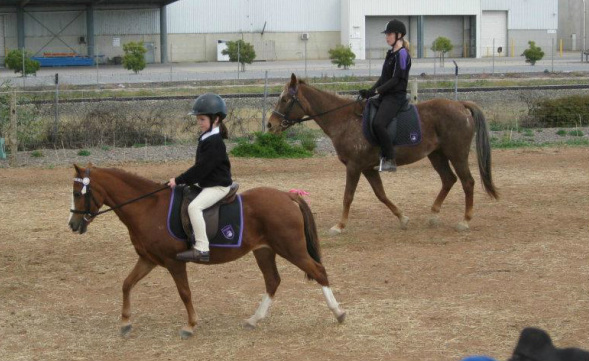 The formal winter uniform (left and above) and the polo shirt (right) with the pony club saddle blankets.